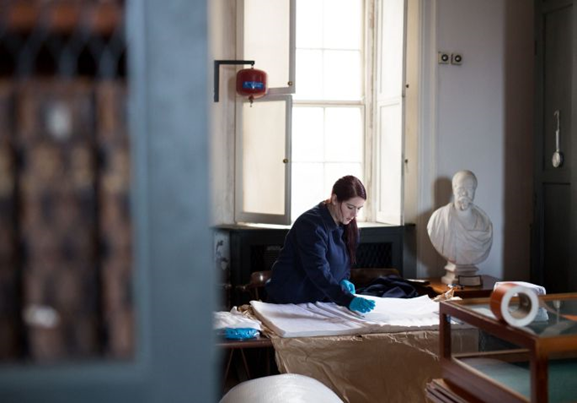 Harwell Restoration has decades of experience in handling collections for libraries, archives and museums and working sensitively in these environments. Given the skill-set of our teams, equipment and logistical infrastructure, together with our experience in challenging disaster recovery situations, we are able to provide support in day to day collections management moves, short-notice moves and accession, through to tackling complex and logistically challenging moves within buildings and to new facilities. Harwell will offers bespoke, flexible services, utilising trained and experienced team, who maintain the highest standards of professionalism, discretion, and quality at all times.. If you'd like a discussion about a forthcoming project, please contact us. or visit our Case Studies pages to see examples of the team in action.